FAQ and Errata for Shadow Wars is up - enjoy! Howdy Guys and Girls - rules for Sly Marbo, Eversor and Vindicare Assassins - awesome!! 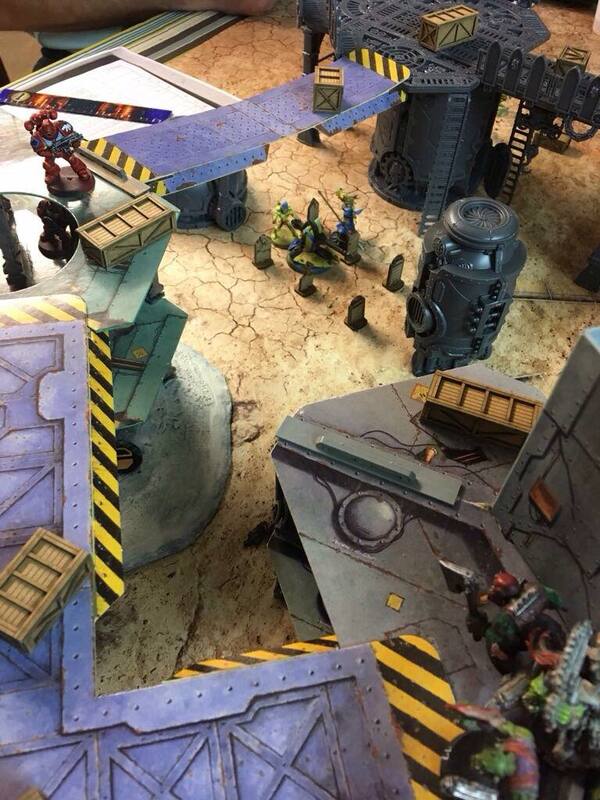 new scenery for Shadow war ! Great idea gw using crane and vehicule like this ! The free pdf for Shadow War has been updated with Sisters of Battle and Inquisition! Meaning you don't need the new book if you have the box. A lot of models were dusty like hell sorry if it shows on the pics ! We used the shadow war box, one necromunda box, and a bunch of crates and tombstones from dead man hand. We were playing the basic scenario - killing is all that matters! The game went well we had a lot of fun and lot of mistakes were made (rules and strategies). The game lasted less than 90 mins, ended when they rolled a 10 on the morale phase - ending the game at the start of their turn 6 I think. - It's so good playing Necromunda again! - The rules work very well. - Melee is super dangerous but super decisive! - There are a lots of skills to gain. - Threat ranges are a bit high. - The Amount of stuff you can buy is limited :( - I want more options! - The money system is cumbersome, we already changed it to: you win 100 points at the end of the game and you add it to your reserve. (you can save) Can convert cache to 100 as much as you want. - We want special operatives to have a price tag and then stay with the section. (and do some progression system for them). - Extended list of Equipment. 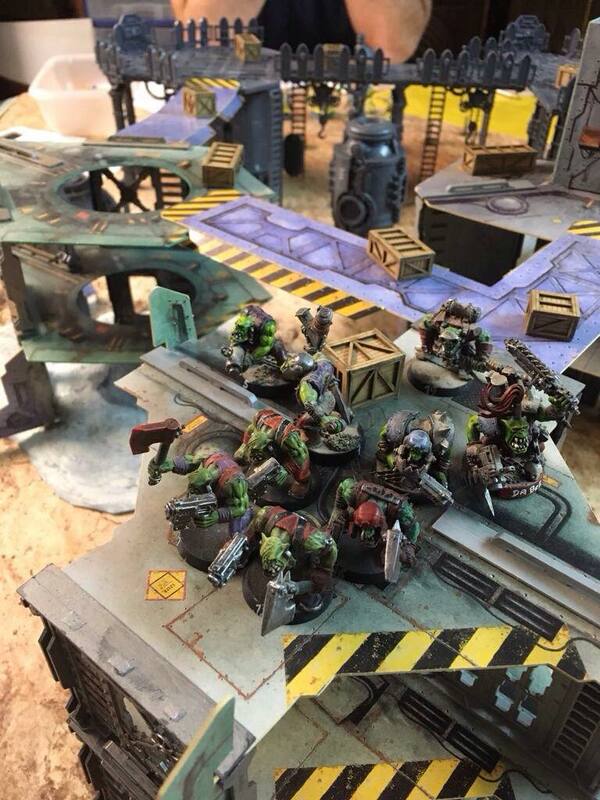 "Great news for those of you after a copy of the rules for Shadow War: Armageddon. The book will be available to pre-order on Saturday the 22nd of April." Today we have an unboxing and preview for Shadow War: Armageddon. This box is huge and heavy! It gives you all the basics you need to play - if you missed out, no worries, GW will make the rules and scenery available seperatly.